Free Download Fashionista Game or Get Full Unlimited Game Version! Travel around the world and visit the most famous fashion capitals as you hire photographers, models and more to create your very own magazine! 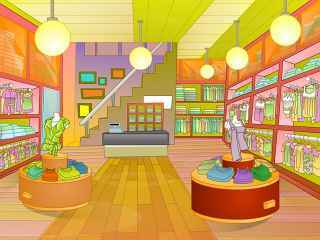 In order to get advantaged of playing Fashionista full unlimiteg game version you must register the game. 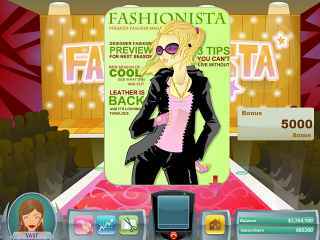 Fashionista is a fun, fast-paced fashion-oriented game that offers a real world experience in the top spot of a fashion magazine! With a huge colorful city at hand, you'll decide what's "IN" or "OUT". You can pick and choose between more than 240 pieces of clothing and accessories that you can fully customize to match your own unique style. Hire photographers, writers, models, and editors to make your magazine the best around! Embark on the greatest fashion adventure with Fashionista! Become The Greatest Fashion Mogul In The World! Design Each Magazine Cover Yourself! Hire Photographers, Writers, Editors And Models! A fabulous frenzy of fashion fun that's sure to bring out the Fashionista in everyone! Release your inner designer with Fab Fashion!